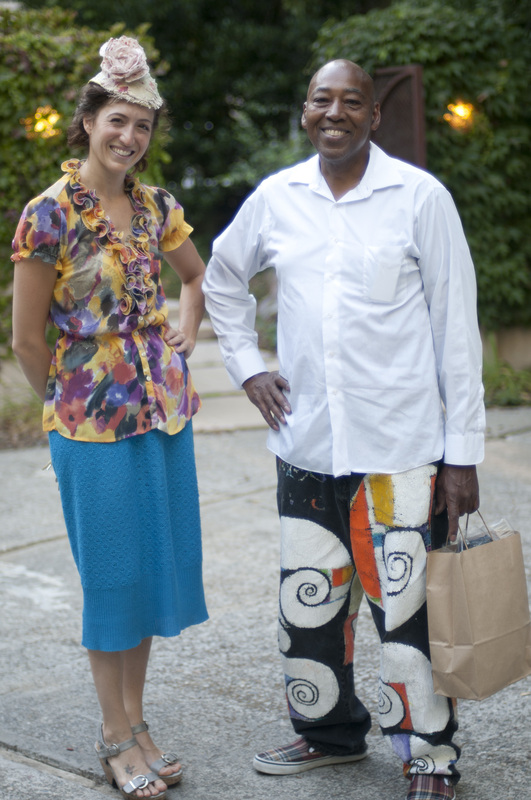 Dinner guests last night–Gwen Lecthner and Leroy Parker. 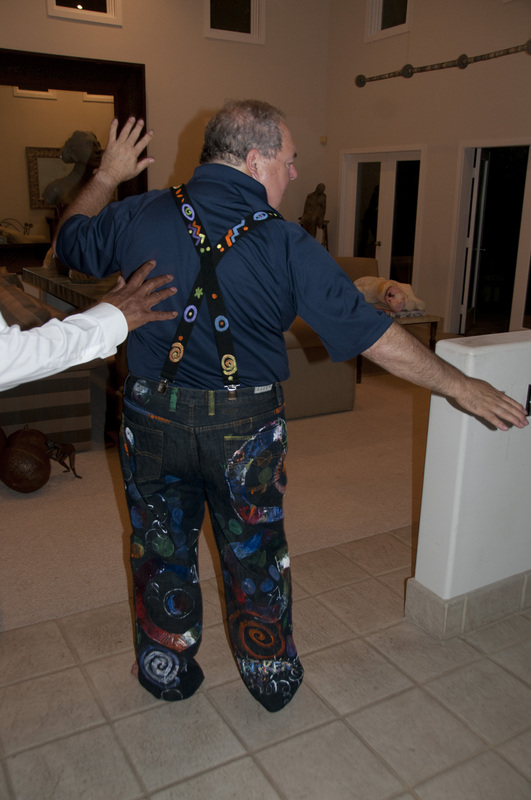 Leroy is an artist, and professor of art at San Jose State. Gwen is a graduate student of Leroy’s, and an accomplished artist already. 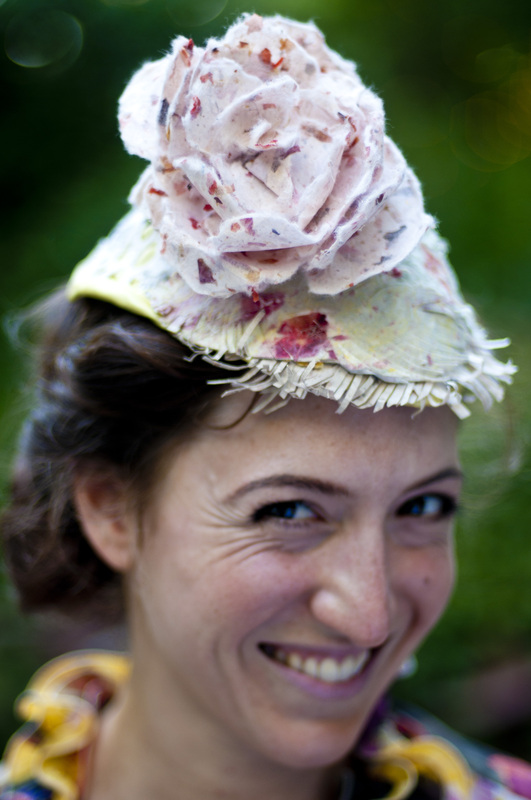 She is creating clothing out of hand-made paper–hats and corsets, which she makes from body casts of her clients. It was only after I served the tri-tip that Gwen mentioned that she hadn’t eaten red meat in 3 years. She tried a little, then finished up the rice and the asparagus. I guess the lesson is never to serve beef to young California women, the odds are against you. Loyal readers will remember the saga of the pants from my trip to Ethiopia in June, how it took me 10 days of hard searching to find a pair large enough in a nation where I was the largest man. 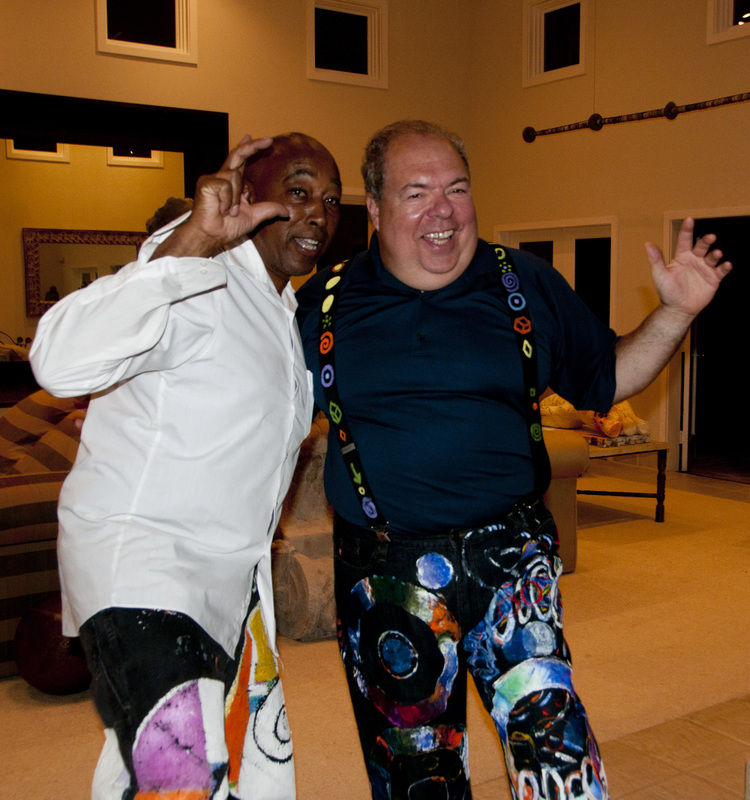 Wear these pants, you gotta dance! As is always true in life, this much fun doesn’t come cheap–I admit to being somewhat staggered by the price, which he forgot to mention when he took the pants in the first place. On the other hand, they may be the cheapest art in the house and will get the most notice, so I guess it’s a bargain anyway. Hey, Chris. 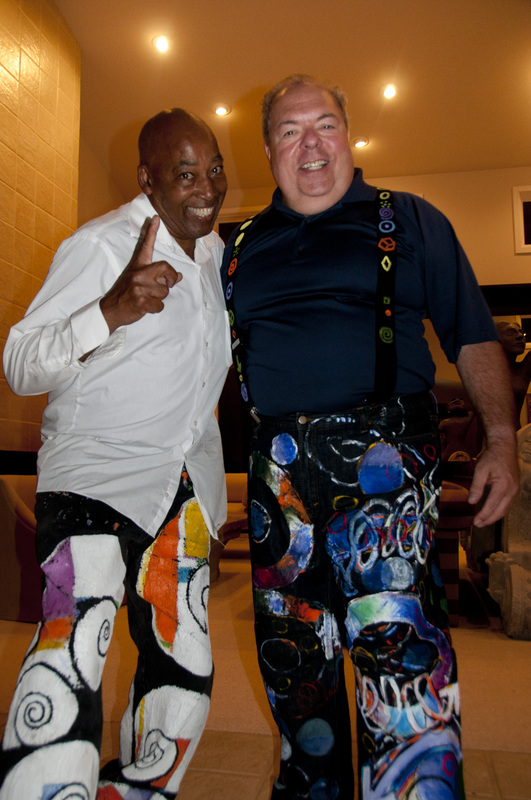 Great pants. My compliments to the artist. Chris is just kidding, Leroy — he knows a bargain when he sees one!!!! Omg. I love those pants!!!! !